The best of luck to you! i'm sure you'll do very well at whichever course you do. The thing with studying as an adult is that you have a bit more maturity to deal with the pressure. I'm doing my degree at the moment with the Open University (I'm 39 this year). Yeah hun the older you are the more tighter your head is screwed on haha. Ooh good luck with your studies, hope it goes well. 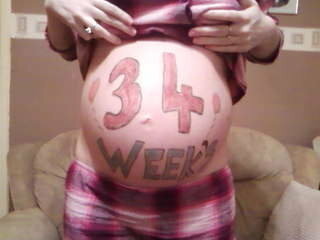 And LOVE the bump art!